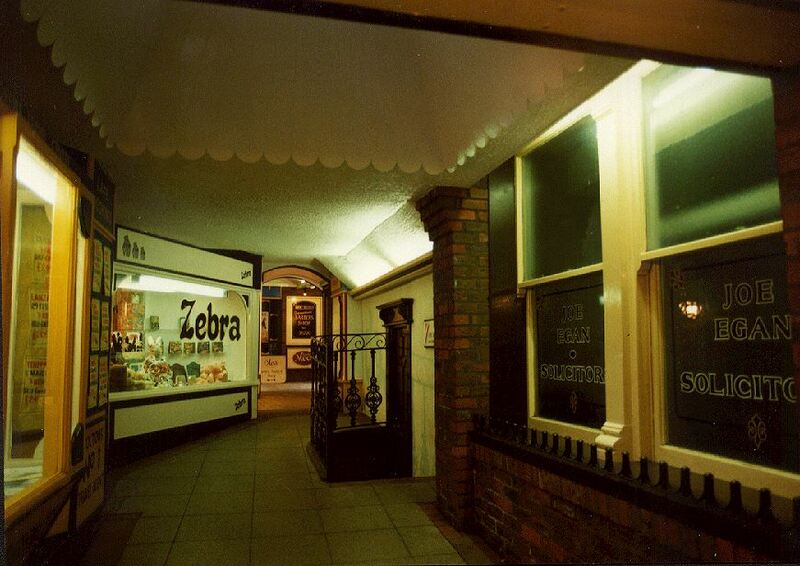 Zebra card and gift shop is on the left. 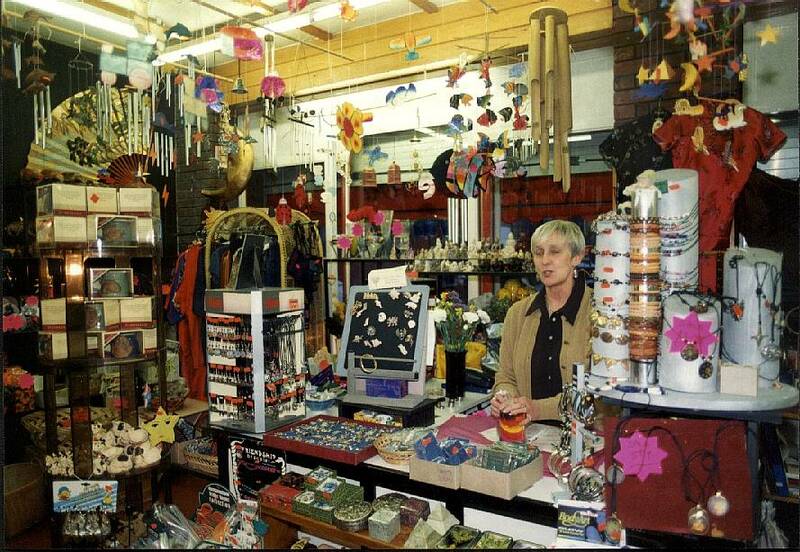 It contains unusual gifts and a wide range of cards, including many handmade designs. 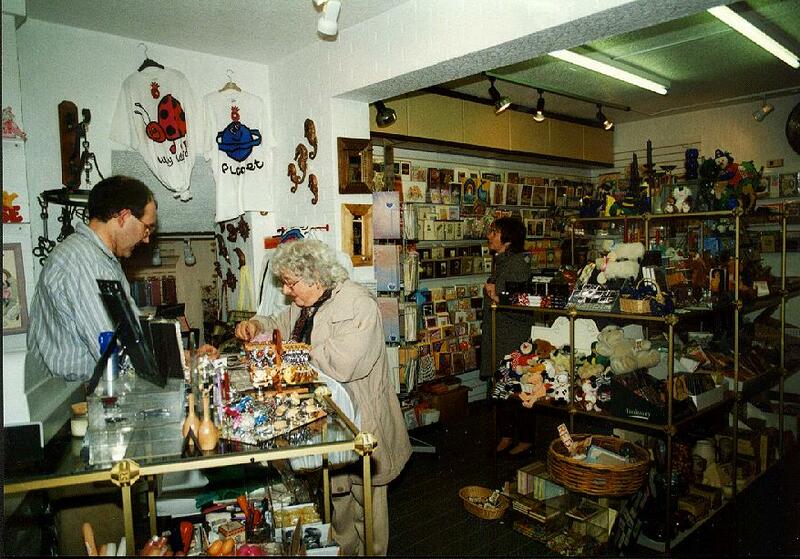 This unusual gift shop, appropriately called Trade Winds with items from far and wide. 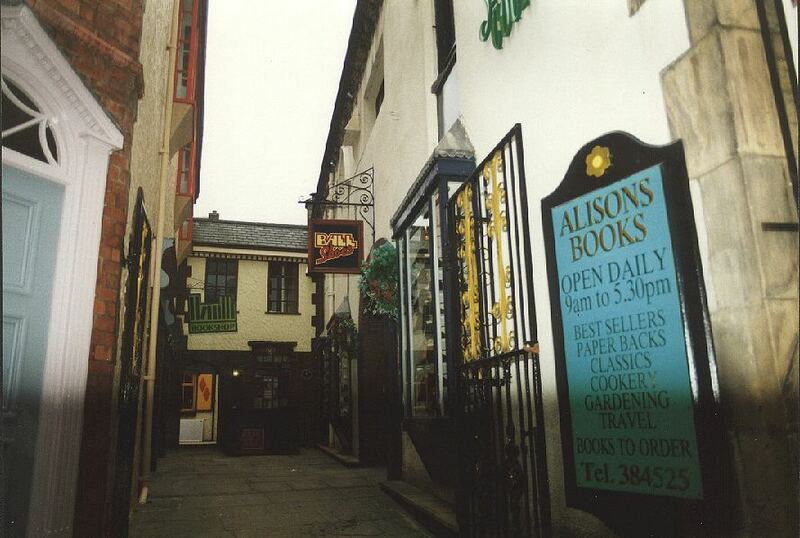 Alisons Books are on your left, this is called Bowker's Row. 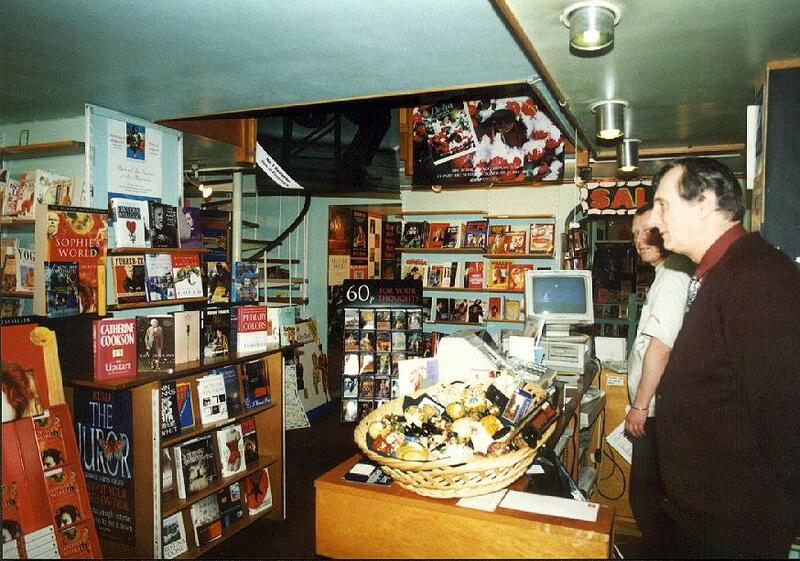 This shop has a large selection of local history books. 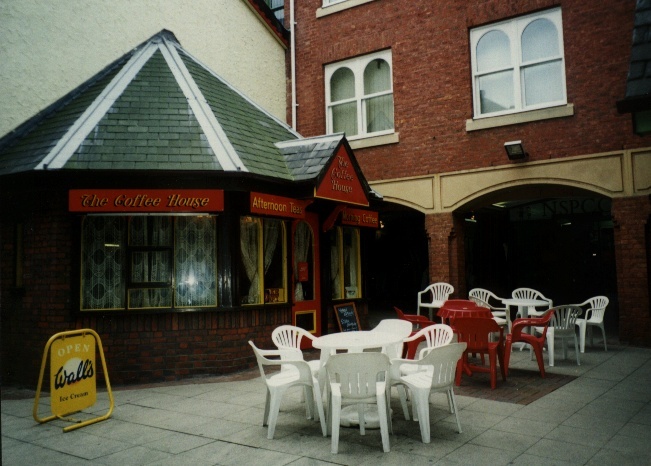 This shop has now closed down, but this picture remains.